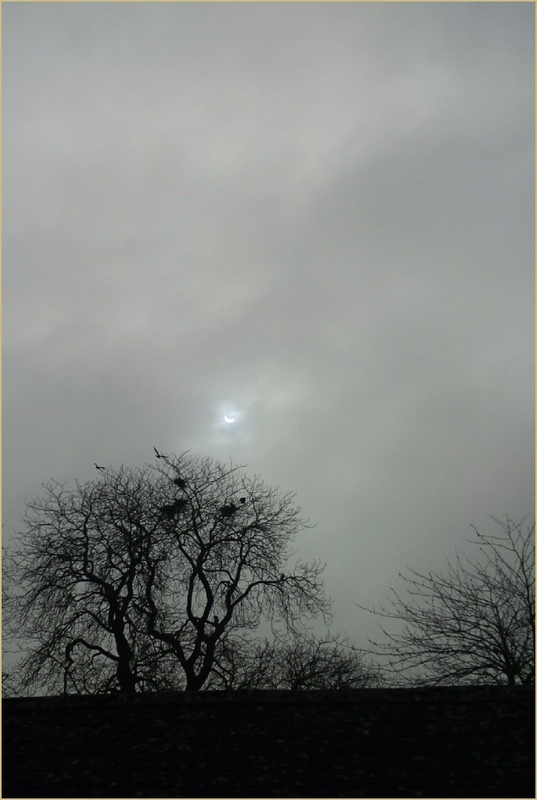 There was a solar eclipse visible over most of the United Kingdom on the morning of 20th March 2015. Here in Filkins, the sky was overcast, but every now and again a wan and watery crescent sun sailed into view between the banks of clouds. I remember seeing an eclipse in the late ‘50s, when I was about seven. Our headmaster led us onto the school playground, and handed out old glass negatives to look at the sun through. I remember that I thought how eerie it all was. Later, of course, I learned how men have always found eclipses unsettling, and have imbued them with all sorts of unearthly powers. Yes, still faintly sinister and unsettling. Then, the sun and moon parted, the sun was its habitual disc, the jackdaws began cawing in their nests, and people bustled. And it was once again, just another Friday.